DCCC Chair sees gains in Pennsylvania, Woodruff’s campaign inflated its fundraising by a quarter million dollars, and reader poll results. Good morning politicos, here’s the Playbook! DCCC Chair Says House is in Play, Sees Gains in Pa.: DCCC Chair Ben Ray Luján released a memo saying for the first time saying the House is in play for Democrats in 2018, and sees Pennsylvania as a place to gain seats. Woodruff Campaign Inflated Fundraising by a Quarter Million Dollars: Woodruff’s family and the Rooney family account for the since-removed donations, dropping the Supreme Court hopeful’s cash on hand from $282K down to $17K. 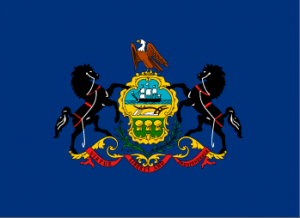 Reader Poll: Pennsylvania Should Abolish the Lt. 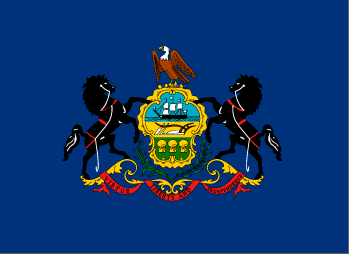 Governor Position: A plurality of our respondents think Pennsylvania should abolish the Lieutenant Governor position. Capitolwire: Capitolwire: House GOP lawmaker proposes redirecting casino local share assessment to General Fund. Capitolwire: Capitolwire: While legislators consider cutting tax credits, House panel moves to consolidate some existing credits. Capitolwire: Capitolwire: Gov. Wolf plans to suffocate anti-plastic bag tax, ban bill. Inquirer: Days from the deadline, budget indecision in Pa.
Post-Gazette: Move of state attorney general’s office to the Strip District no bargain for taxpayers? Patriot News: Gov. Tom Wolf to ban state ban on plastic bag bans. Got that? Patriot News: Is the US doing enough to hold cops accountable? Delco Times: Editorial: One more step toward medical marijuana use in Pa.
Filtahadelphia a bastion of anti-American sentiment. The cradle of Liberty has been taken over by ANTIFA thugs! There are no brakes to what’s coming. We can’t stop it, nor should we. In so doing, we win. Case in point, majority-minority Philadelphia (43 percent black, 38 percent white), where the Democrat Party has just nominated as virulently anti-cop, pro-Black Lives Matter candidate for district attorney. “It’s disheartening and it’s disgusting because whether anybody wants to believe it or not, they’re going to take this win as ‘Now we have somebody on our side, not the police’s side,’ ” Lopez said. “The chants at Larry Krasner’s victory party attacking our brave police officers are disgusting and despicable, and frankly scary,” DiGiorgio wrote. Krasner, 56, is a defense attorney who has represented many civil rights cases and has sued police and the government more than 75 times, defending everyone from Occupy Philly protesters to Black Lives Matter activists. Ben Waxman, a spokesman for Krasner’s campaign, said in an emailed statement that Krasner has the “highest regard for the vast majority” of Philadelphia police officers. The FOP had endorsed Rich Negrin, the city’s former managing director, for district attorney, as had the Spanish American Law Enforcement Association and the Guardian Civic League, which represents the city’s black police officers. It’s well documented almost all violent crime in Philadelphia has a black suspect/offender, which means Krasner’s anti-police/criminal justice reform stance can be better interpreted as pro-black criminal. Why not just make it illegal for the Philadelphia Police Department to arrest blacks? Wouldn’t this be a winning campaign promise? We can’t stop it and we can’t reform it.